In 1988, a groundbreaking paper by British ecologist Norman Myers first identified 10 tropical forest “hotspots” characterized both by exceptional numbers of unique plant species and serious levels of habitat loss. In 1990, Myers added a further eight hotspots, including four Mediterranean-type ecosystems. Conservation International, one of CEPF's global donor partner organizations adopted Myers’ hotspots as its institutional blueprint in 1989 and, in 1996, the organization undertook a reassessment of the hotspot concept, including an examination of whether key areas of the planet had been overlooked. Three years later an extensive global review was undertaken, which introduced quantitative thresholds for the designation of biodiversity hotspots and resulted in the designation of 25. 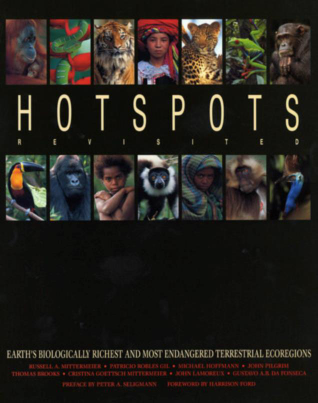 In 1999, the seminal book "Hotspots" was released. Shortly after its publication, Conservation International, the World Bank and the Global Environmental Facility came together to create the CEPF partnership to conserve these precious hotspots. The John D. and Catherine T. MacArthur Foundation, the Government of Japan, l'Agence Française de Développement (The French Development Agency), and the European Union later joined the partnership. Threats and their impacts change as does our knowledge of biodiversity. In 2004, based on the work of nearly 400 specialists, the book "Hotspots Revisited" was published, recognizing nine additional hotspots. One of those, the East Melanesian Islands, was largely intact when the first "Hotspots" book was released. Less than a decade later, rampant logging and the establishment of oil palm plantations had devastated the islands' habitat, leaving only 30 percent of forests remaining. After the publication of "Hotspots Revisited," two additional hotspots were identified. In 2011, the Forests of East Australia was declared the 35th and in 2016, the North American Coastal Plain became the planet's 36th.